UPDATED! Back to School Tax Free Weekend 2019 Dates & Sales! Back to School Tax Free Weekend 2019 Dates and Sales! Updated with Tax Free Weekend Dates for Texas, Missouri, Florida, Ohio, Tennessee & More! 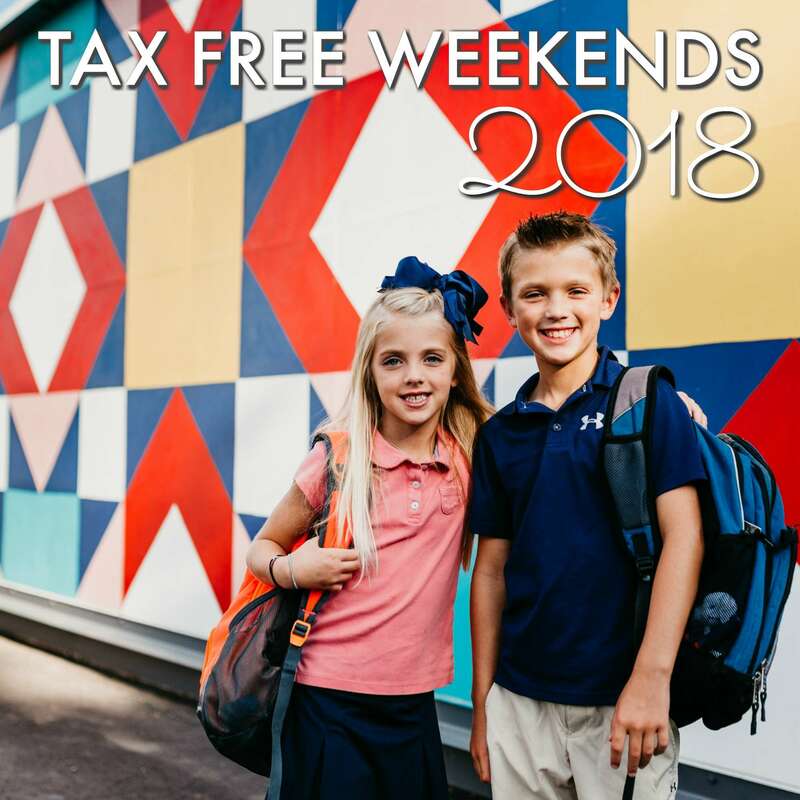 Here is the Current list of Back to School Tax Free Weekend Holidays for 2018. Including Texas, Florida, Missouri, Tennessee, Ohio, Arkansas, Oklahoma, South Carolina, and more. A lot of states offer Sales Tax Free Weekends where you can shop for Back to School Supplies and you won’t pay state sales tax on specific items. Each state has a different list of requirements for what is included in the Tax Free Weekend, most states include Clothing, School Supplies, Books, Laptop Computers and more. You will want to double check this list with your specific state, and be sure to let me know of any other states participating in Tax Free Weekends by leaving a comment below. When Is Tax Free Weekend? The 2018 Tax Free Days vary by state, each state sets it’s own dates as well as the items that are available to purchase tax free. Most categories also have a limit of value per item purchased which is something you should be aware of before shopping. North Carolina Tax Free Weekend, 2019 – There is no tax free weekend this year in North Carolina. What is Tax Free Weekend? Here is a general list of the items included and where you can get more information on your specific state’s Tax Free Holiday. Most large retailers like Walmart, Amazon, & Target should be included in tax free weekend, That means you can shop online tax free! This may not apply to smaller retailers who typically don’t collect tax in all states, look for special ads and advertisements during the tax free days to know if an online retailer is participating. Don’t Miss our Back to School Sales Page with all the best deals each week, This will be updated weekly with the Top Sales at Each Store + You can check out our Back to School Deals Page to see all the recent deals we’ve posted! You can also Click Here to get our School Supply Price List! Along with daily email updates on all the best Back to School Deals!